A group of Park Slope residents have created what they hope will come to be the answer to the neighborhood's frustrating parking situation. Working towards their goal of creating Roadify, a "platform for sharing traveler intelligence," the team is starting with ParkingAroundMe, a free service that lets drivers use Twitter and text messages to share intel about open parking spaces. They were spotted on Seventh Avenue recently by Louise of Only The Blog Knows Brooklyn "in grey sweatshirts that say 'Let's Make Parking Easier'" handing out flyers for their new project. The way it works is this: drivers (and eagle-eyed pedestrians) spot open parking spots and tweet or text their locations. They get “StreetCARma points” for doing that. On the other side, whenever drivers claim a spotted parking spot they spend their accrued points. It's a system that, the creators hope, will work best the more participants are involved. To do this, and help get Park Slopians on the road to open spaces, Roadify is giving everyone three free points right off the bat. I'm not sure yet how they'll tell when participants cheat and park without checking in, or if driving while obsessively checking Twitter for an open space will become a frequent problem. Roadify, of course, doesn't want you to do that! They do warn users, "Never attempt to communicate with Roadify—or use any device that distracts you from the road for that matter—while you’re driving." But we've all experienced how vicious it can get out there in the 20th minute of a desperate parking spot hunt. For the time being, Roadify asks that only Park Slope parkers (definition: people looking for spots in park slope) use the service to keep the quality of given spot info high and relevant. The Roadify team is hoping to expand ParkingAroundMe beyond their current comfort zone around New York Methodist Hospital to the rest of NYC in 2010. From there, they hope to "extend the Roadify platform to include info about buses and trains, even airports at some point." 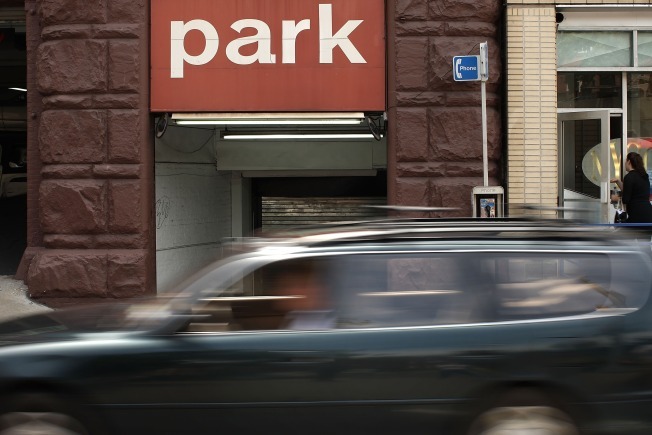 If you live in Park Slope, we urge you to participate in this experiment so the rest of New York (read: me) can give community-based insider parking intel a try. Everyone's heard that "fact" that something like 115% of all cars driving around are looking for a spot. Maybe collectively we can get that down to just 100%.